Stock status is current as of 4/22/2019 8:33 PMET. 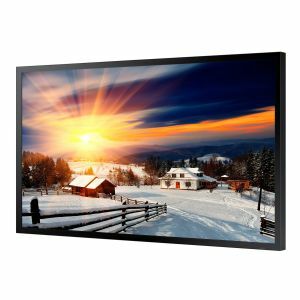 OHF Series displays feature innovative Magic Glass, TUV Certified Image Quality and an Auto Brightness Sensor to optimize brightness in order to optimally convey messaging to virtually any viewer. These powerful displays also feature circular polarizing technology that eliminates display blindness caused by polarized sunglasses. OHF Series captivate viewers with superior messaging clarity delivered with high 2,500 nit brightness and 5,000:1 high contrast ratio in all inches above 24.